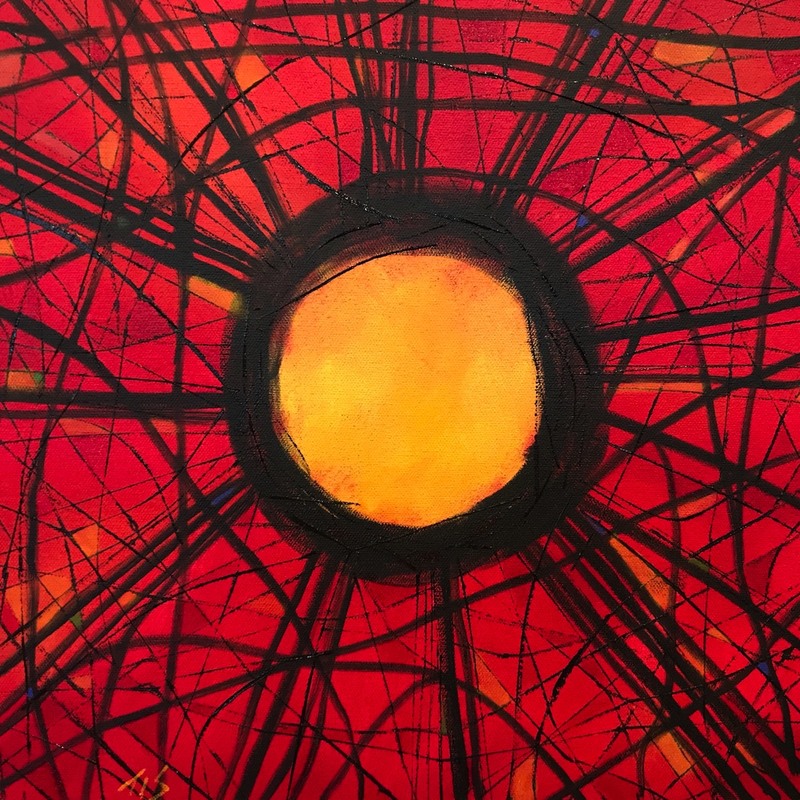 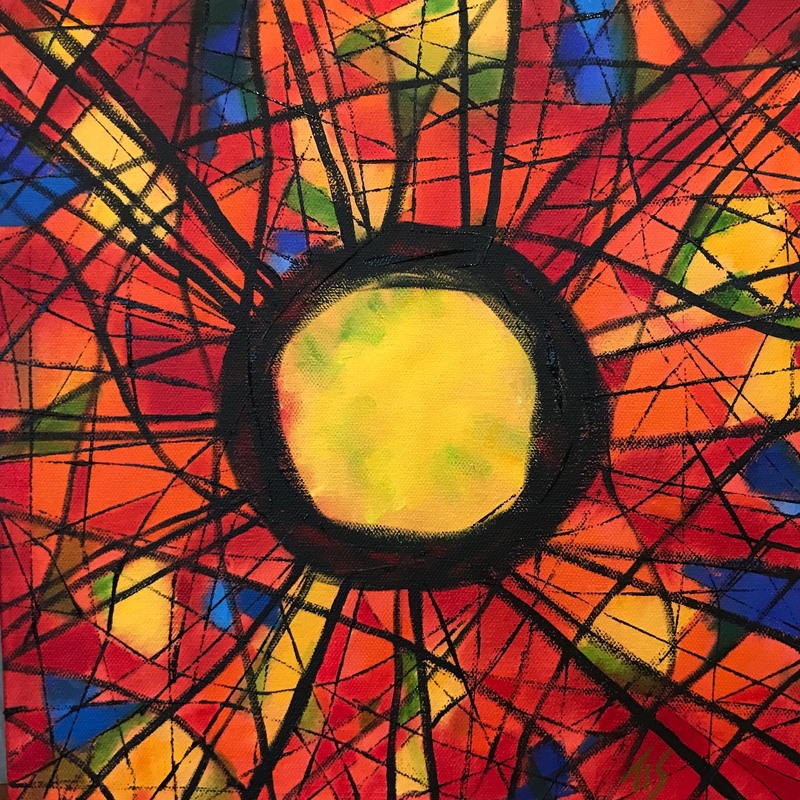 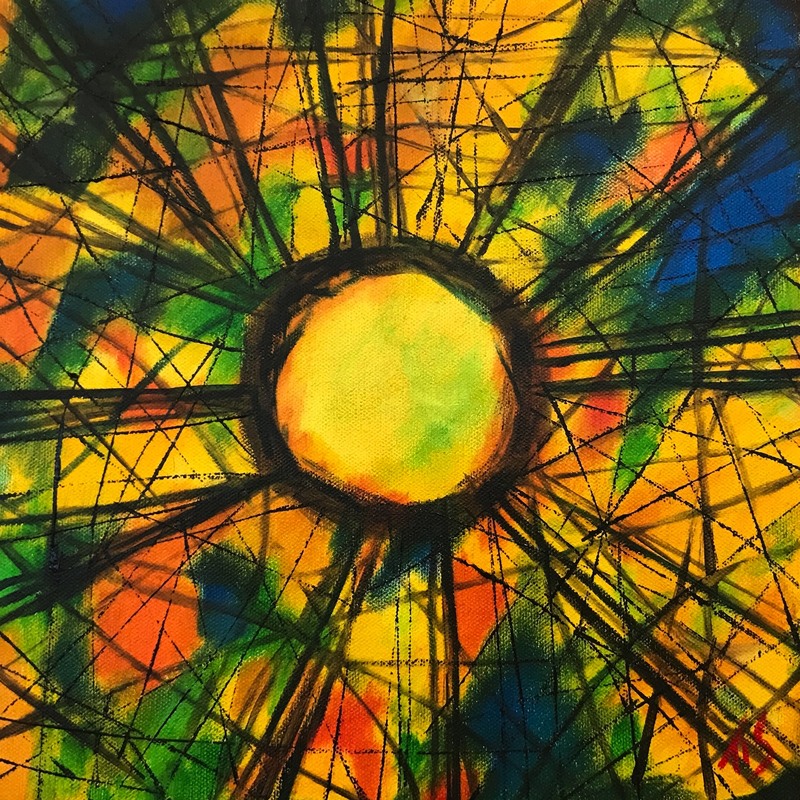 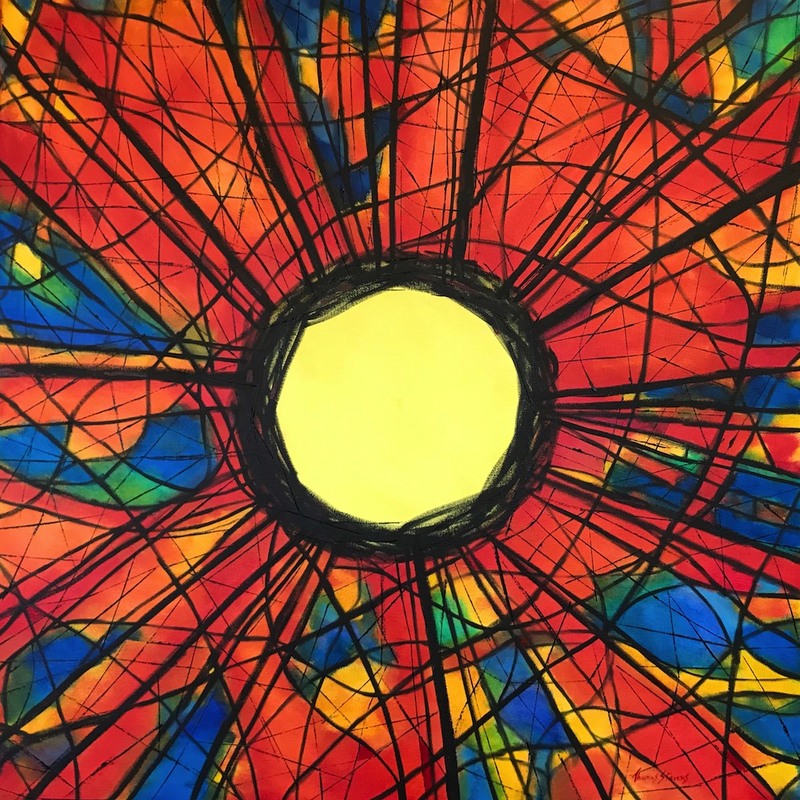 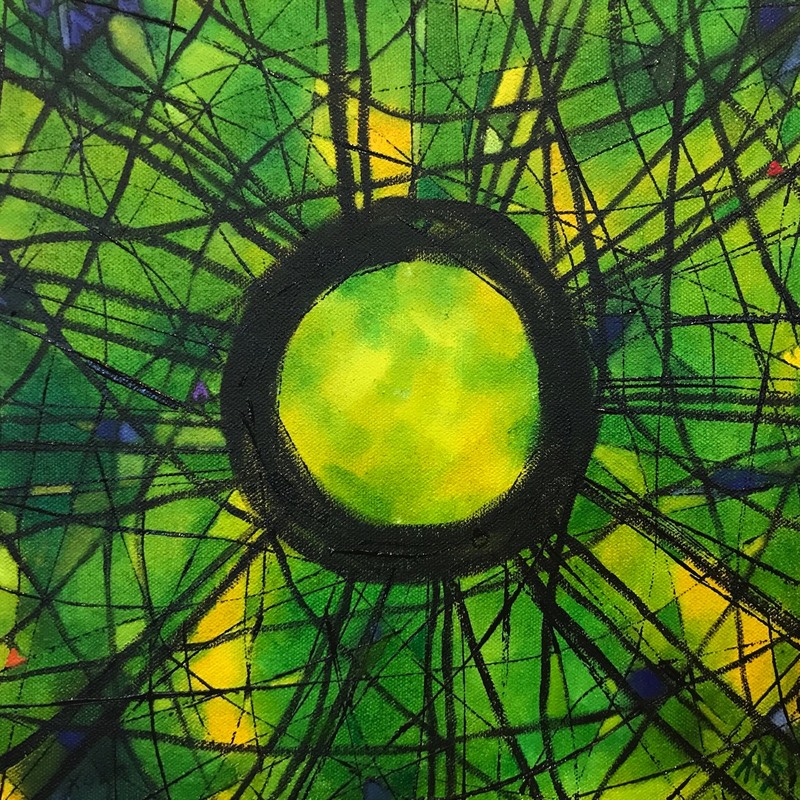 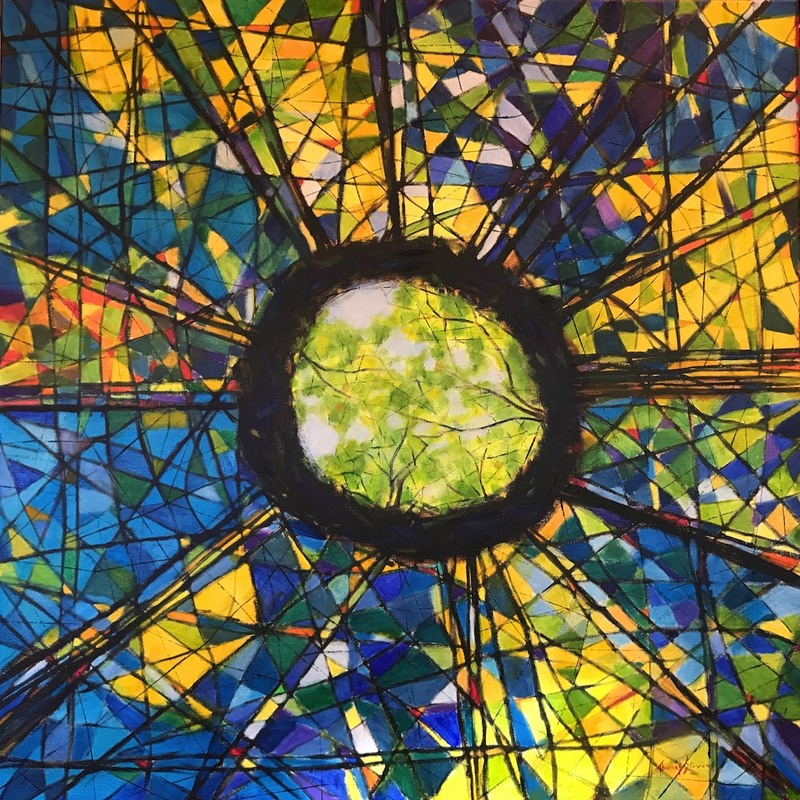 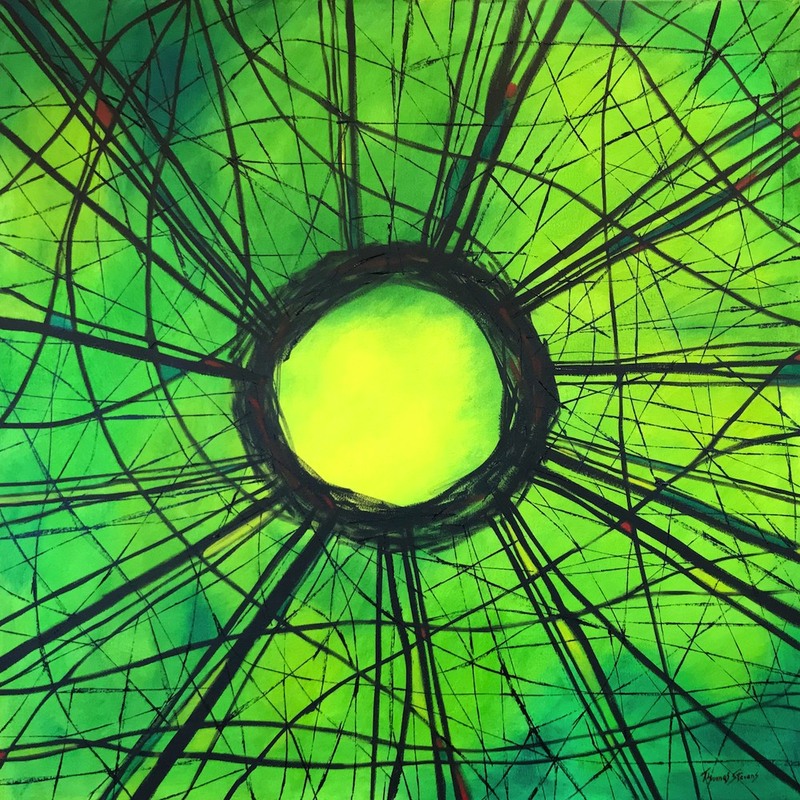 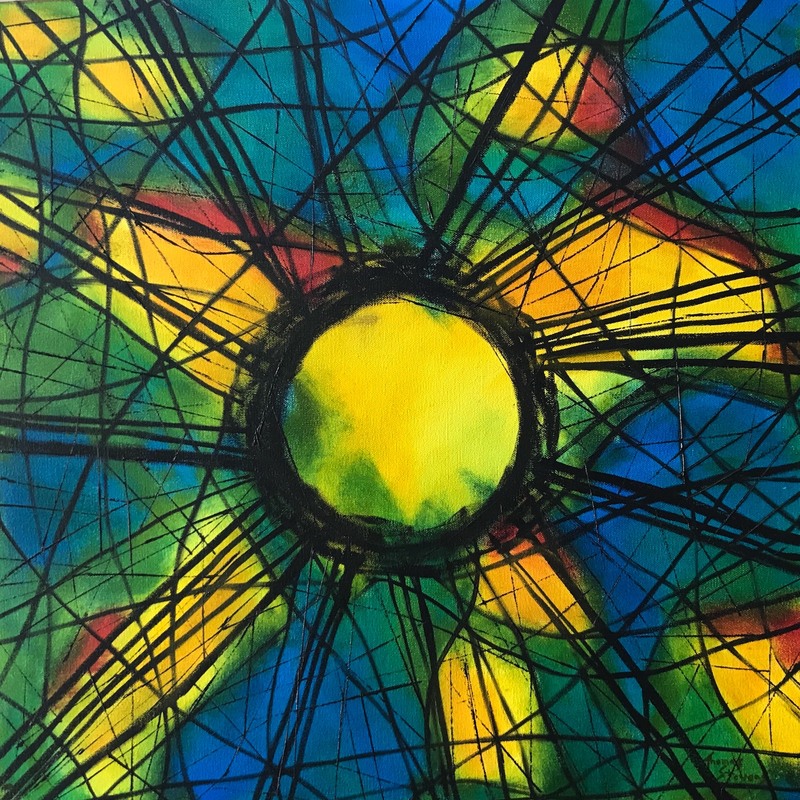 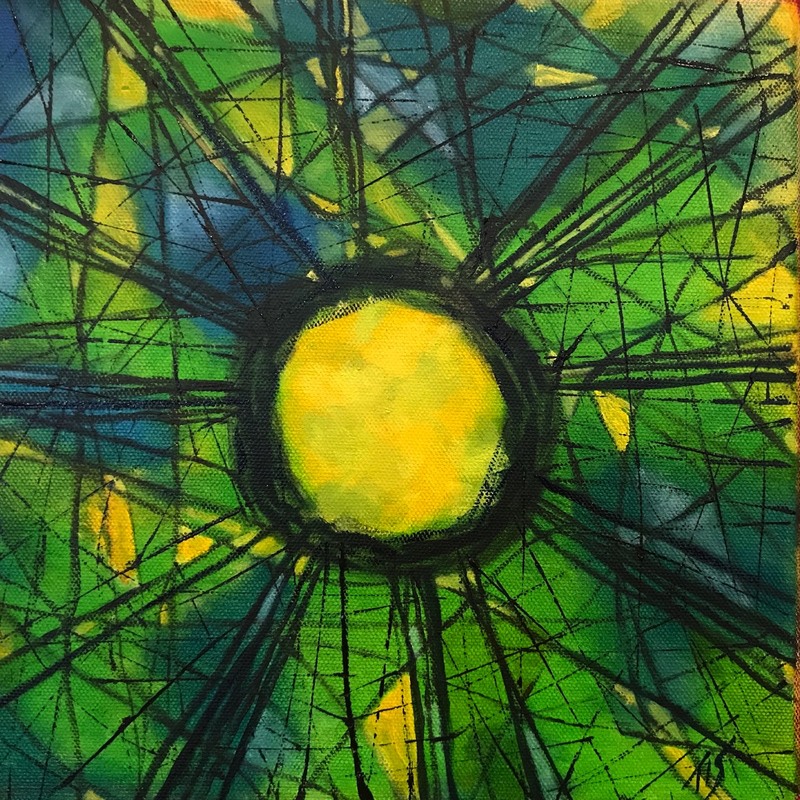 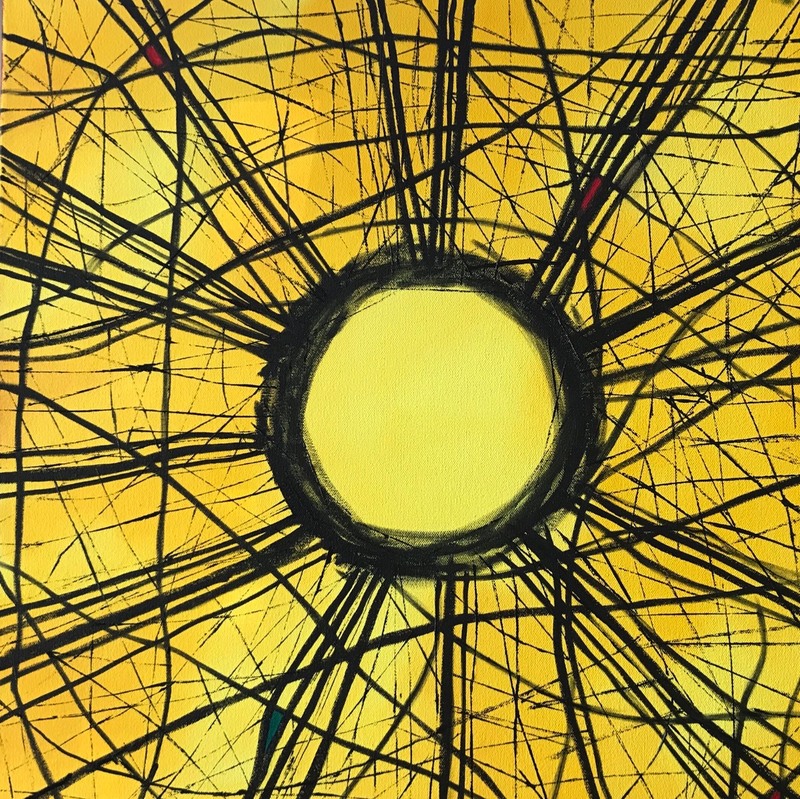 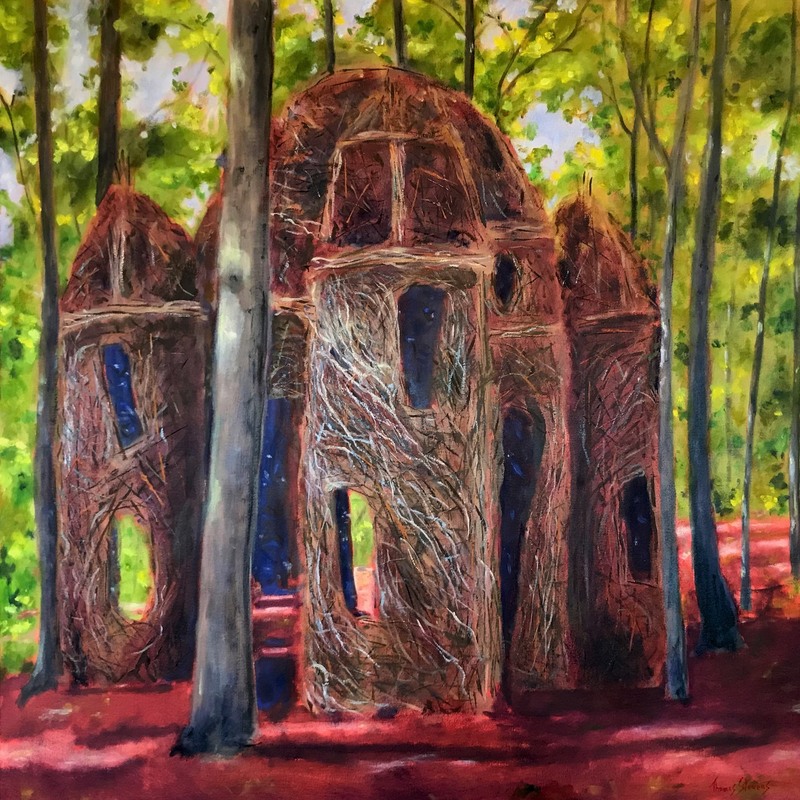 Artwork inspired by the 'A Sight to Behold' stickwork sculpture, installed on Hillsborough's Riverwalk from November 2015 until January 2019 - exhibited at the Thomas Stevens Gallery January 25th through February 22nd, 2019. 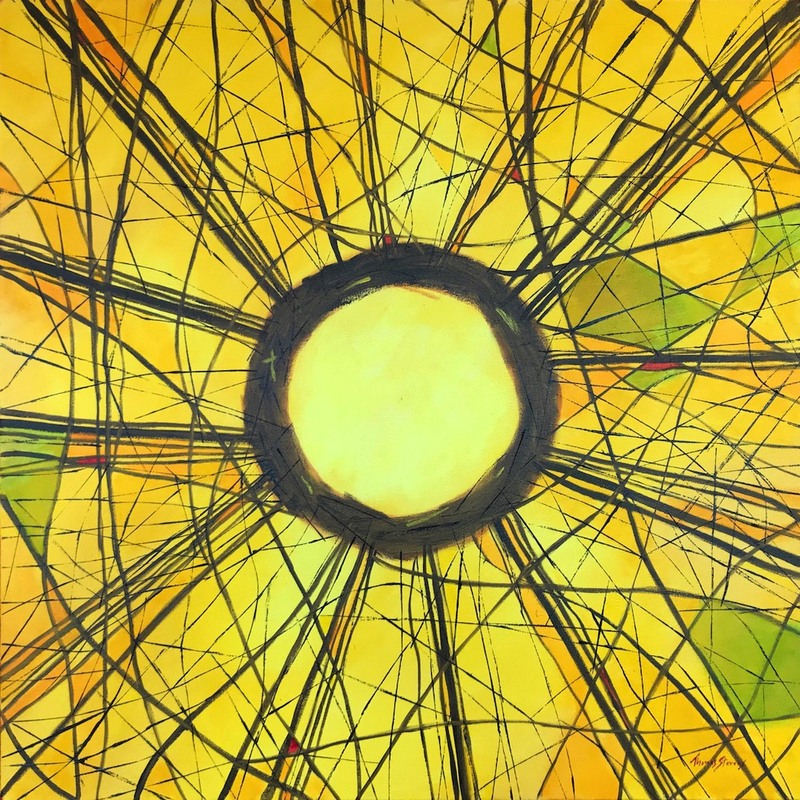 The exhibit included 15 new paintings, 14 of the 'oculus' plus a larger painting of the stickwork. 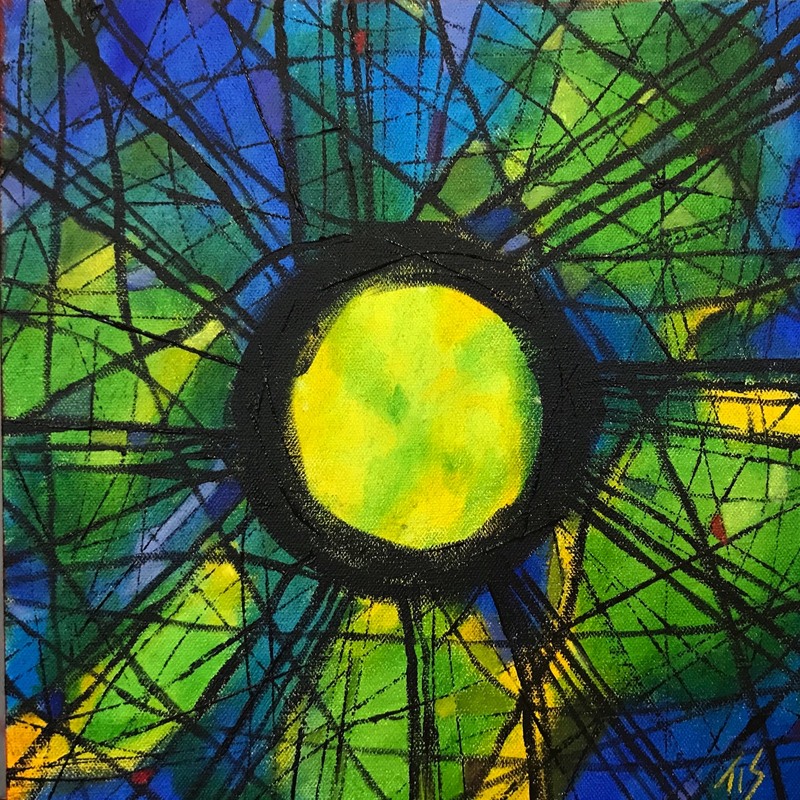 For a listing of paintings, dimensions, and remaining availability, see the link at the bottom of this page. 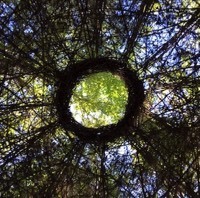 A Sight To Behold - 30"
The ‘A Sight to Behold’ stickwork sculpture installed on Hillsborough's Riverwalk inspired wonder, play, community, and a unique sense of place. 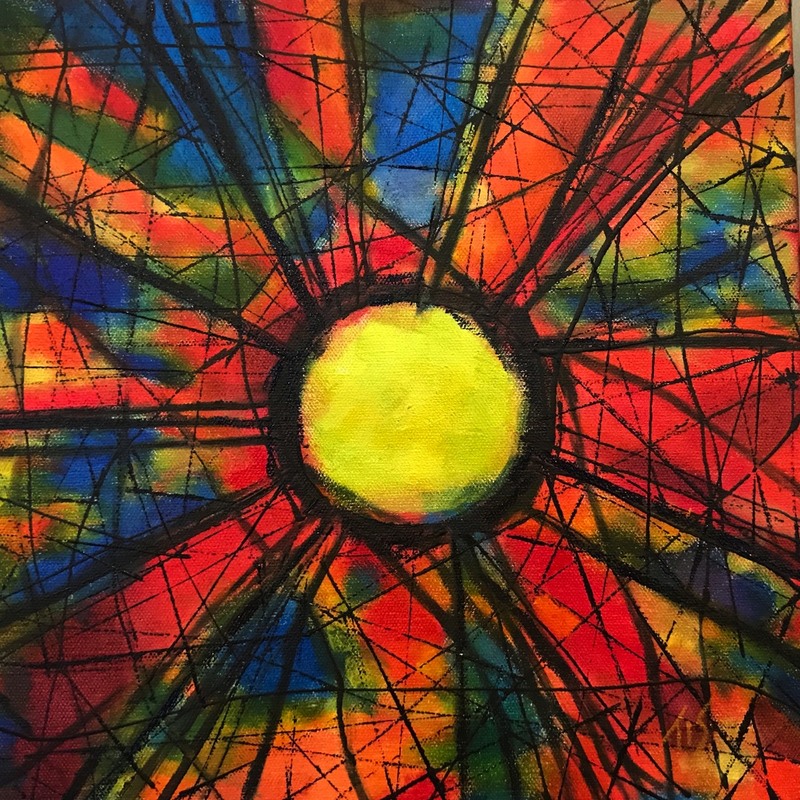 And it inspired more art and art experiences (including improv plays and the Solstice Lantern Walk) that engaged literally thousands of people. 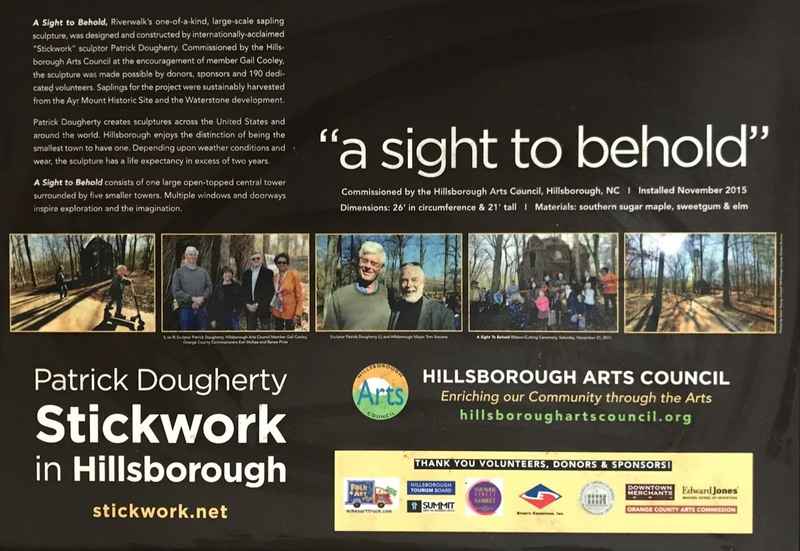 The stickwork sculpture is now gone, but the community and artistic spirit it represents will continue to manifest in Hillsborough for many years to come. 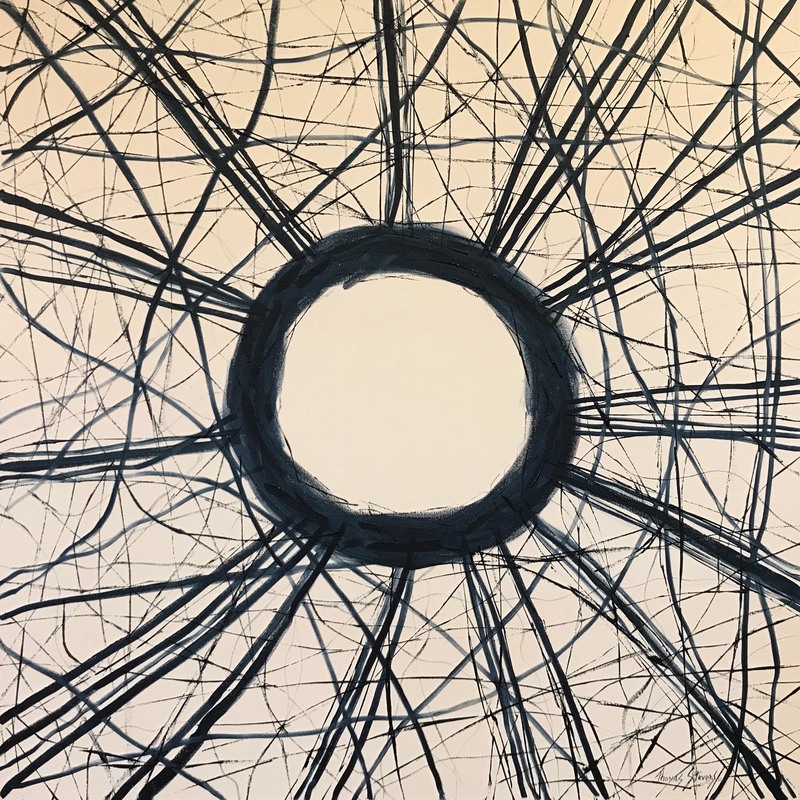 This sign informed visitors about the stickwork sculpture.